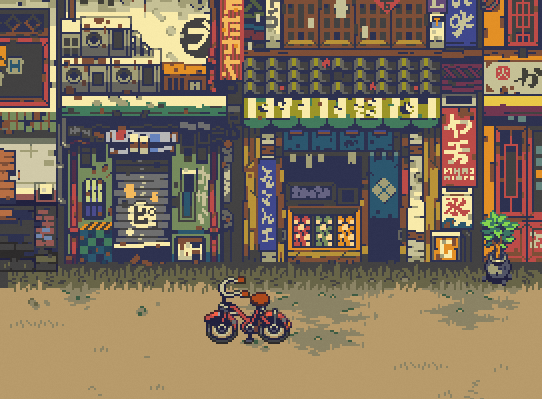 Chinese developer, Pixpil, is teaming up with publisher, Chucklefish, to bring us Eastward, a gorgeous retro-style JRPG that is a love letter to anime of the 90s. In development for PC and Mac, this gorgeous-looking little adventure has some serious pedigree around it, particularly in terms of the soundtrack. Pixpil has recruited the talents of one Joe Corelitz to provide the score. Perhaps not the biggest name in the games music scene, Corelitz has nonetheless created some beautiful soundtracks for games such as The Unfinished Swan, Hohokum, and Gorogoa. Impressive effort to get him on board for a tiny indie of just ten people! Games like this are dime a dozen in the indie space, but so long as the writing is strong, the gameplay clean (there's a heavy emphasis on puzzling, so hopefully those hit the right balance of being stimulating but not frustrating), and the art continues to be that gorgeous, we think that this one might turn out to be a hit! Hopefully enough so that we can get console ports (and, particularly, Nintendo Switch).